Plan now for Summer 2019! Your son or daughter will love this unique and exciting kayaking adventure – four mornings of fresh air and fun. 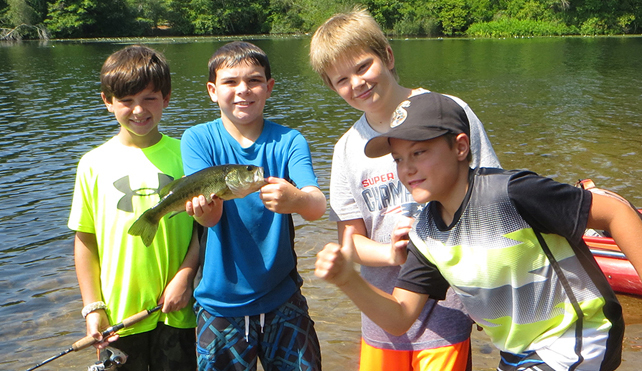 In addition to learning valuable paddling and water safety skills, participants will enjoy island explorations, viewing and photographing wildlife, learning about the environment, and practicing their angling skills while we fish for largemouth bass and pickerel. Select weeks in June, July and August; Monday-Thursday (Friday rain date); 8:30 to noon each day. Ages 9+, $175 per paddler.